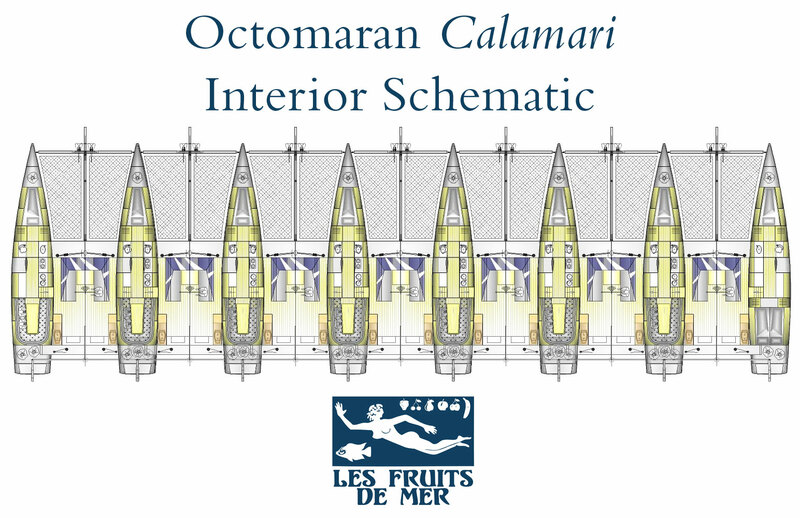 An interior schematic of the octomaran Calamari. Move over, boring old catamarans—make way for the octomaran! 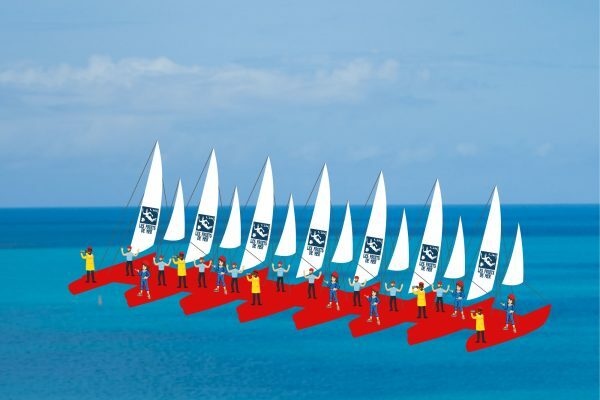 The Les Fruits de Mer association is finalizing its design for the world’s first eight-hull sailing ship. The ship, to be named the Calamari, will serve as a traveling laboratory for ocean research. The Calamari is the first octomaran ever designed. Each hull will have its own sleeping quarters, laboratory space and kitchen. The research team will be able to conduct up to eight experiments at the same time. They will also be able to cook up to eight different kinds of food simultaneously. A maritime artist’s rendering of the Calamari at sea. Once the design is finalized, construction will begin at shipyards in Halifax, Newark, Sheffield, Mumbai, Nagasaki, St. Petersburg, Stroobos and Saint-Nazaire. The components will be assembled on St. Martin. In addition to the Calamari, the association has already created initial designs for a nine-hull octomaran to be called the Octoplus.